← Kate Brown, the most transparent governor of Oregon? 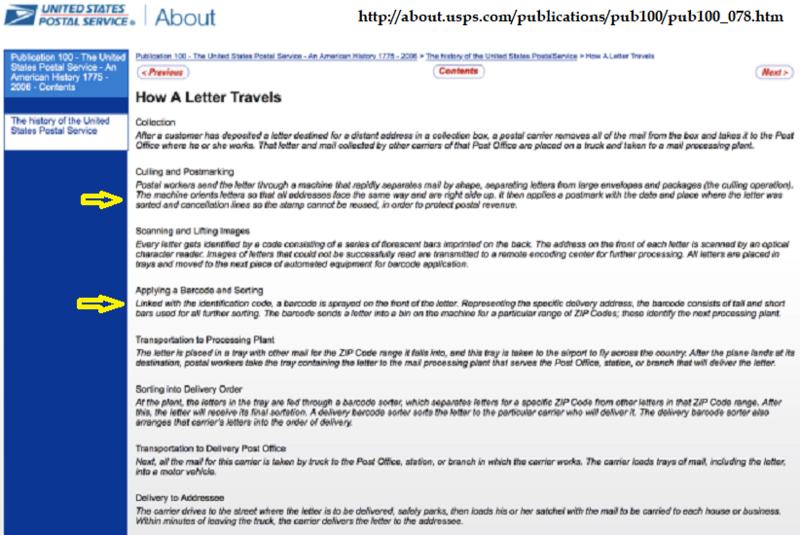 This entry was posted in conspiracy, crime, Donald Trump, fake hate crime, False flag, George Soros, Hillary Clinton, Hollywood liberals, Joe Biden, Liberals/Democrats/Left, MSM, Obama, Terrorism, United States, US Presidents and tagged Democrats who received mail bombs, How A Letter Travels, Jeff Zucker, Tom Sauer. Bookmark the permalink. Great article, Dr. Eowyn! And filled with strong research. “False Flag” seems to be exactly what we are looking at. Dr Eowyn . . . . You are the very best! This article soothes my heart, I had thought all along that this was a false flag–yet was afraid to speak that fact out loud. You really nailed it. Thank you so very much. There is no question in my mind. Total fraud. They should be prosecuted for this. Talk about “madness on the cusp of desperation”. “Vote for us or we’ll blow ourselves up and blame it on YOU!”. Insanity doesn’t do it justice. They are working on their “impeachment” arguments. Something has to be done about this giant propaganda machine. Another dumb Demonrat plan that is going to BLOW UP (sorry, couldn’t resist) in their faces like all of their other ludicrous plans. Republicans spent the last two decades shrieking about how liberals deserve to die, bombing abortion clinics, and shooting up liberal events, and now you think anyone will believe you when you try to shift blame from one of your nazi boys taking your rhetoric to its logical conclusion? I would say that I’ve lost respect for conservatives, but the truth is, you evil bastards never deserved any respect whatsoever. Interesting that they used Debbie Washerman Shultz on the return address, she who helped steal the primaries from commie Bernie Sanders. I do believe this is a total false flag, but how about a dumb crazy Bernie supporter going after Clinton supporters who stole the primaries from commie Sanders? A Republican did it to make the Dems look like idiots for trying to hoist such a lame false flag. This will remain in the news through election day then vanish without being “solved”…. 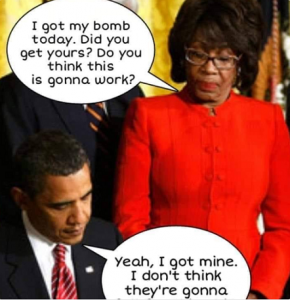 As they used to say in the old movies where there was a bomb to be defused…. “Cut the RED wire! !” Wanna buy a bridge??? BTW: I didn’t clarify, that the Democrats ARE losing the Black Voters, and they NEED to replace them with the “Illegal Alien Votes” they are PUSHING FOR, so it’s understandable they do NOT want ANY Wall OR Borders to be block them. Guess America is the ONLY Nation that is NOT supposed to protect our borders/American citizens-as guaranteed us under our Own Constitution. Very pathetic. They’re still hyperventilating about how Trump should be “apologizing” for this. 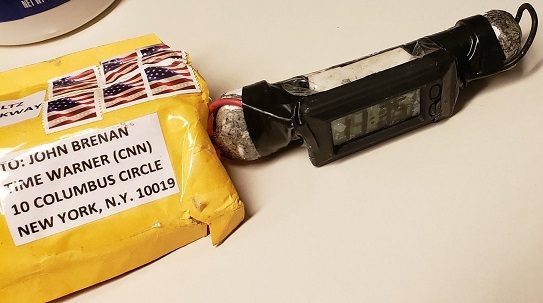 FBI director Wray calls these phony bombs IEDs. If he means Imitation Explosive Devices, I guess he’s got a point. Plaster rapey van with MAGA stickers. 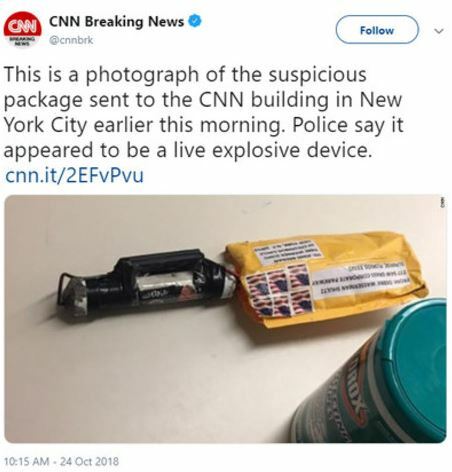 Mail impotent bombs that end up at CNN after finding the address of VIP’s with security details and cameras from search engine. Get roll of duct tape to keep that pesky tarp on rapey van. Very much like the 1975 Birtwhistle conspiracy, which if I remember rightly involved pocket size torches cunningly disguised as gold lipsticks. Birtwhistle was a champion ballroom dancer who went mad. 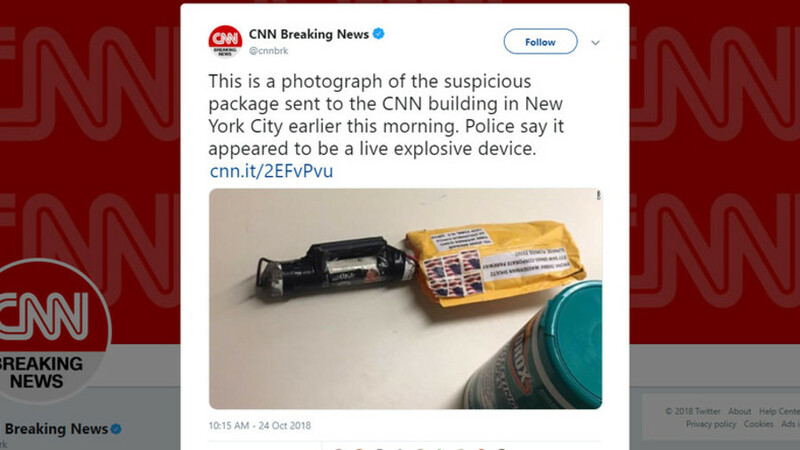 Did you hear about the suspicious packages hoax? It really bombed.